Explore a wide variety of cells, from bacteria to human neurons, using a compound light microscope. 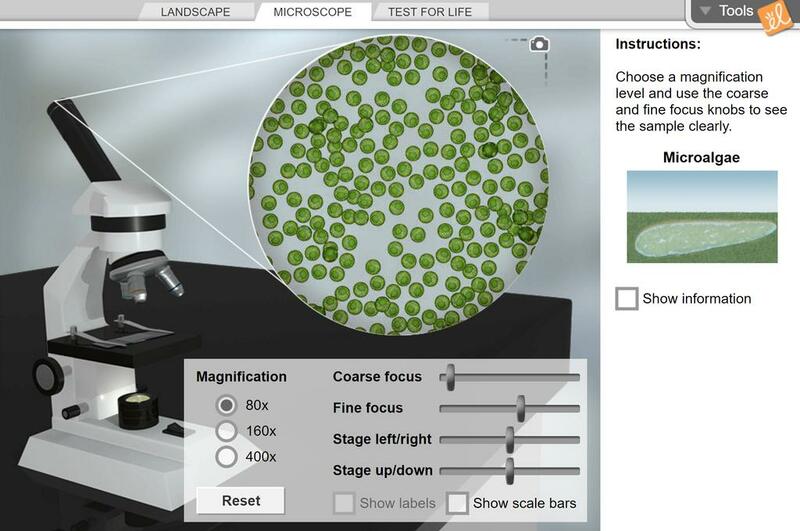 Select a sample to study, then focus on the sample using the coarse and fine focus controls of the microscope. Compare the structures found in different cells, then perform tests to see if the sample is alive. Students use a data table to gather evidence while using the Cell Types Gizmos to support a claim made ab... (more)out cell structures. This activity allows students to use this Gizmo to complete a table to compare cell structures found in 6... (more) different cells. A scenario is given for them to respond to, and evidence collection as well as supportive reasoning is required.